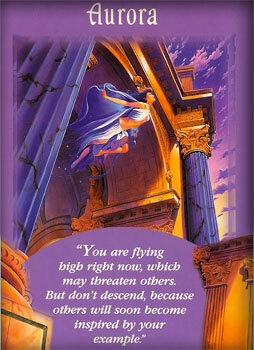 "You are flying high right now, which may threaten others. But don't descend, because others will soon become inspired by your example." Your intentions have created an upward trend in your life. New opportunities are coming your way, and your inner and outer self radiates this positive growth. You may worry that others will be jealous of your current and forthcoming succes, so you will be sensitive about discussing your achievements. You may also worry about the future, about where your new path is taking you. You may wish for a guarantee of future succes. 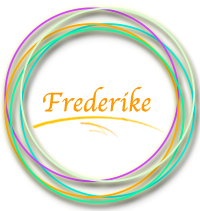 I am here to help you enjoy the present, and the process of your new venture. Trust that each moment is taking care of itself. The Universe has always taken care of you, and always will. Ask me to help you stay focused on the now, and to let go of the worry habit so that you can enjoy these gifts. Gratitude is essential right now... to keep your flight at a high altitude.